Colette O'Neill… Author, Publisher, photographer. Creator of Goddess Permaculture. This is about one woman deciding to do something very dramatic and revolutionary in Ireland…taking three acres of wet, rushy, north-facing land and planting trees like her life depended on it…it does! 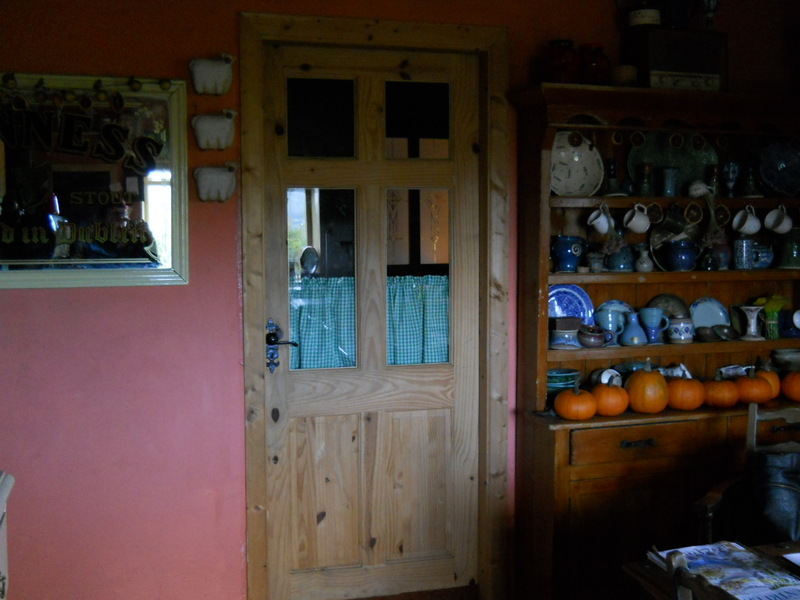 Bealtaine Cottage smallholding is in the west of Ireland. In May 2004, this was a derelict cottage on a north facing slope of three acres of wet, rushy land. My aim, living alone and without any workforce or helpers, was to create a self-sustaining smallholding designed and constructed on Permaculture Principles. 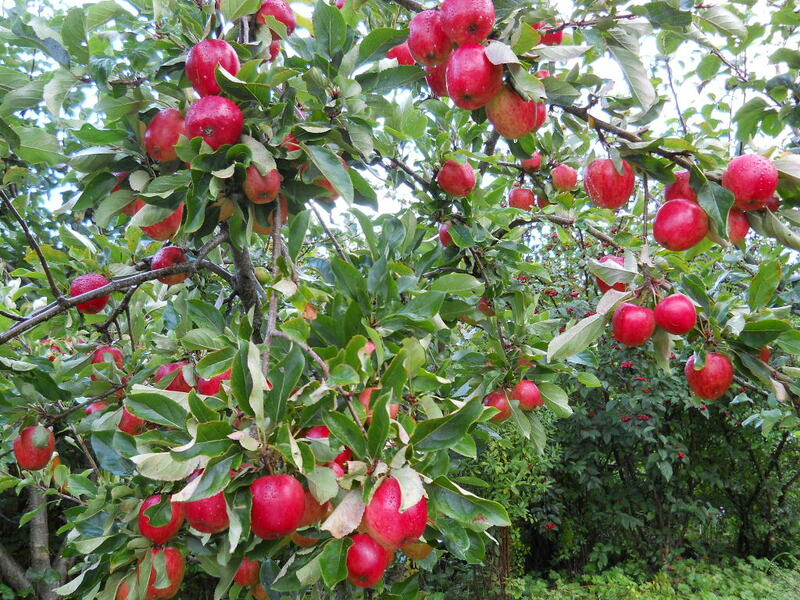 This has included planting over 1,000 deciduous trees including two large orchards, as well as many perennials and bushes. This all supports the developing biodiversity here at Bealtaine Cottage. Bealtaine Cottage has evolved into an Ark for Nature, with continuous planting and expanding biodiversity. Transforming the cottage interior has meant, wherever possible, the use of re-cycled materials. There is the recent installation of a compost toilet, put in place to ensure waste products are managed on site. Growing organically produced food includes a continual, all-year round supply from a purpose-built polytunnel. 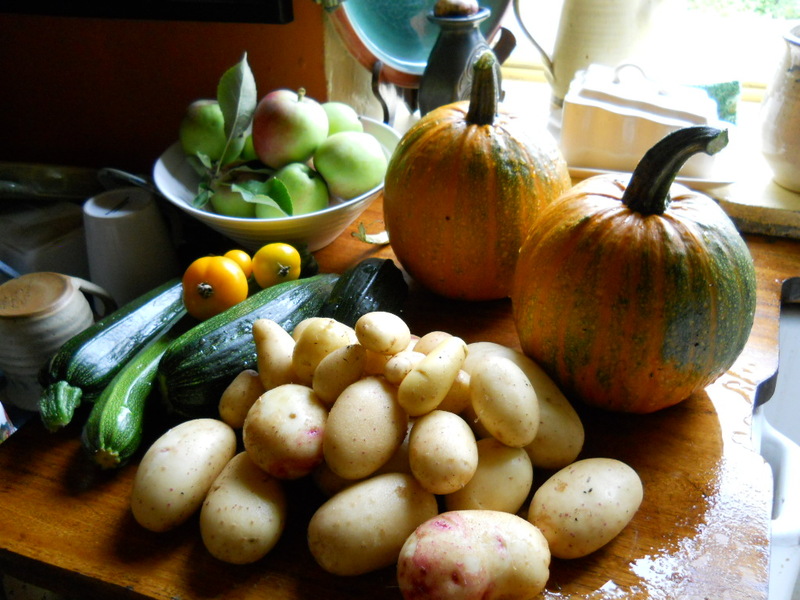 Potager beds are now in their second year and producing abundantly! The land has transformed from monoculture to Eden. There is a continual, substantial food surplus and this is channelled into the making of wines, jams, pickles, chutney, dried foods and plants. This approach to living on the Earth, forms the basis of an integrated approach to living with the planet, rather than on the planet. 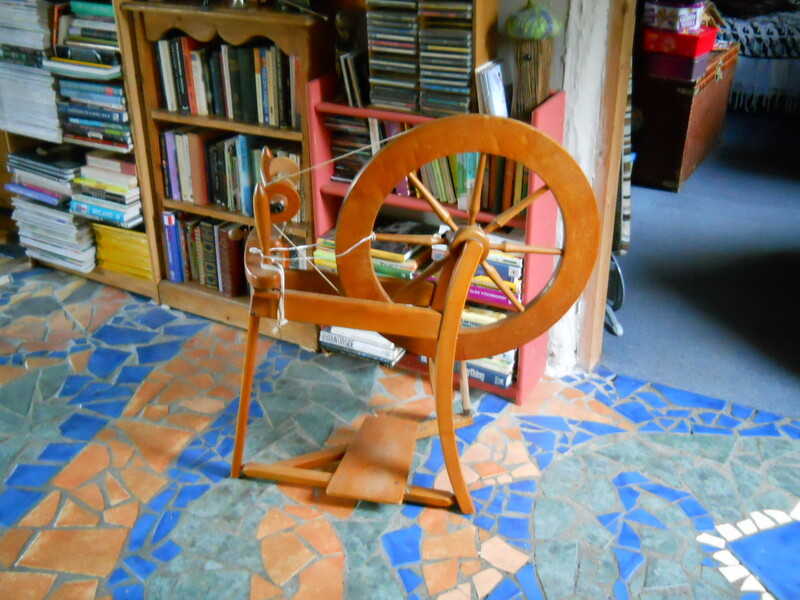 Spinning is one of my favourite crafts, spinning wool and using the surplus ‘shoddy,’ as a fertiliser and mulch for the land. Crafting is an ongoing learning curve, necessity being the mother of invention, as proved here with the recycled floor. Cold composting ensures a continual development of seed production! Bealtaine Cottage and smallholding continues to be developed in keeping with Permaculture ethics. The addition of a wood burning stove in the sitting room and a multi fuel stove in the kitchen, has given free hot water, cooking, baking and central heating from a fire fuelled mostly with wood harvested here. Over the past 14 years of the Bealtaine Project, Colette has sought to encourage, help and inspire mindfulness for our beautiful world, photographing and writing several thousand blogs on the Bealtaine Cottage site, as well as almost 500 videos on YouTube…all free from advertising! In 2017 Colette O’Neill became a published author and was granted ‘Artist’ status by the Irish government. I would so like to read your blogs from oldest to newest. What’s easiest way to do this? There is a calendar on the site for your use. August 14, 2010 your first post? I posted many blogs on the Country Living Magazine website, but they pulled the entire site without notice and I lost everything! I started this website then. I am still finding my way around WebPress, etc. I found you while searching on YouTube for videos on permaculture. From the very first video, I became calmer and had hope. In addition, seeing Jack makes my heart sing (unless he gets too close to the road). I love Sammy Bear too of course and I think of Beauty often . I cannot express with words what you and your videos, website, and story have done for me. I was suicidal and now I have hope. Blessings and Peace, Colette. Thank you so very much, Colette. I don’t remember how I came across your site on Youtube but I am absolutely in love with your place and hope to do some planning & perming 😉 on my small city plot this spring. Can’t wait to get the book. Thx for the inspiration! Suddenly, after a long time of uncertainty and aimlessness, your website finds me, as I was looking on youtube for songs about circle of the year ceremonies. I was instantly hooked and am nearly crying now… it feels like coming home. Now I know, I have to return to the wheel of nature and start celebrating the cornerstones of the year again and life in all it’s specialties. Because it nurtures us on such a deep level. Thank you very much for your dedication towards life and nature. With love from Switzerland. Anyone wishing to donate or buy the book only has to leave a message with the donation and I will respond asap. Thanks for the explanation ref Patreon. I don’t have a clue as to what I should do. As for the donate button on the website, I have tried fixing it by replacing, but to no avail. I will employ someone to try to remedy that at some point in the near future, as and when funds surface. I am now one of your patrons at the $5 tier. Just getting back on my feet after pneumonia….and please dont fret about the human race because we didnt hit like on all your videos. Basically if we subscribed in the first place it means we like ALL your videos ! Not everyone of course. But you get it… You are a magnificent Earth Mother. ( Mother also meaning martyr)…. That was a hard lesson for me too. Happy Independence Day from here in the states….but really…this time of year we are all released of something to make us more independent. Pointing the angels in your direction ! Much ❤. Hello Colette! Just finished listening and following you in your today’s video on you tube…I was wondering…why can’t we leave comments on your You tube videos? I would so much love to thank you for all these divine moments you are giving us! Thank you! They are moments of bliss in my days! I understand Colette! This is one of the reason I left FB…This media can be so full of positive moments but so many hate comments too…I understand! Thank you Colette! Well…Thank you for answering my comment…I guess I won’t be able to comment then…because I left FB a couple of months ago…I was missing the time in my garden…So no more FB for me! Have a great day Colette! 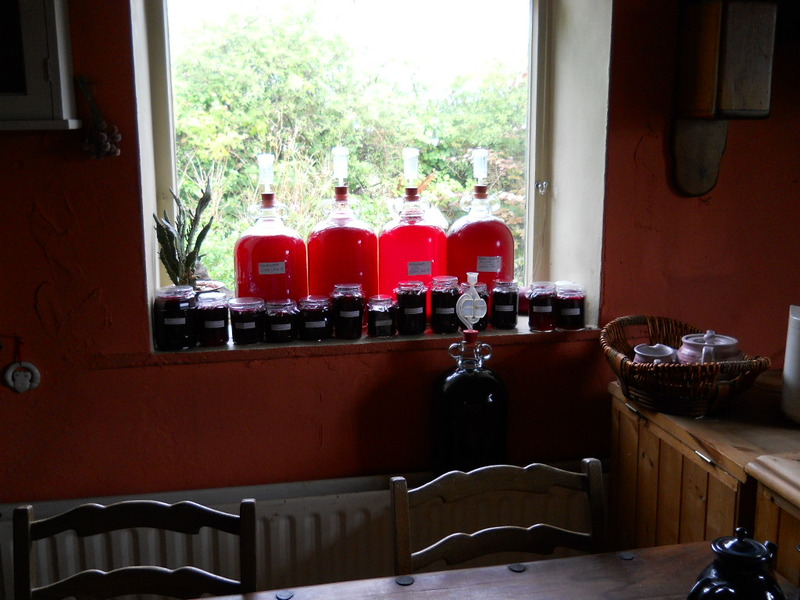 You can understand the time I devote to getting Bealtaine Cottage into the world…but, it’s worth it! And I won’t never be able to thank you enough! I really don’t know how you manage to do all this all by yourself! You must take your energy from Mother Earth!…that’s for sure! Love from Quebec! anything like an apprenticeship as it would be a blessing to learn with/from you. I for one would consider it a tremendous gift and would love nothing more than that opportunity. Oh, fantastic! I’ll keep an eye out for the dates. Hi Colette. I would also be interested in attending a workshop sometime. Not sure exactly where you are based, but i am currently in Belfast. I do enjoy your blogs, but I would love a way to start at the beginning and read straight through both blogs over time. So far I have not been able to figure out how to do so. Is this possible? If it isn’t currently possible, could you consider doing so? If you click on the calendar and work back that way…possibly? That kind of worked. How far back does blog actually go? Thank you so much for the information. I have a hobby of genealogy , but it does not go back as far as you are relating. 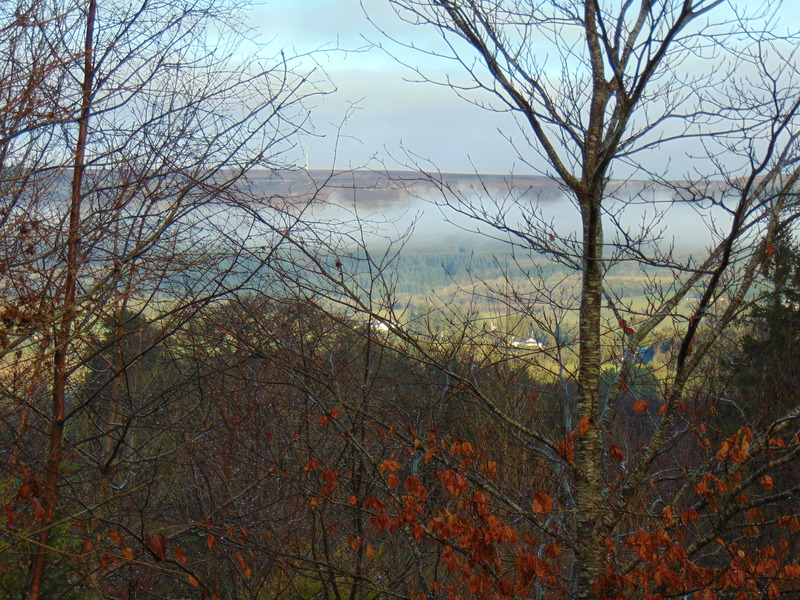 Beale is also part of a clan in Scotland so has multiple Celtic origins. I grew up at the foot of Beltany Hill, Co. Donegal and although we don’t live there anymore we have called our house Bealtaine/Beltany. The stone circle at Beltany dates from 1400BC and the carved stone head found there dates from somewhere between 400BC and 400AD. Beal is the Celtic equivalent of Apollo the sun god and Bealtine comes for the fire of Beal/Baal which was lit on May 1st at the start of summer in honour of the Celtic sun god. The latter may be related to Baal (meaning “master”), the forbiddden name of God in the book of Hosea (2:16). I am fascinated by your cottage. Do you know where the name of it came from? My husband’s family was in Ireland for hundreds of years and founded a village named Mountmellick near Dublin with two other Quaker families. Bealtaine is the old Irish for May and it’s also the first day of Summer in the Celtic calendar. I love the harmony that you have created.Best wishes. Dear Colette, I have just read today’s post on cottage journal, and I have found it extremely easy to use. No difficulties at all. I have so enjoyed all your posts and really enjoyed the daily postings. I hope it remains the same. Many many blessings upon you, your family, magical land, and wonderful animals. Wonderful! I just googled “follow your bliss” and up you came! You are truly an inspiration! Hi Just stumbled onto this site and I am truly in awe of what you are doing. You are living the life that I want, I don’t get jealous but I think I’m close. I’ve jsut found this site randomly, and been amazed the first sight. I am sure will be back daily to keep reading and just look at the amazing pictures. May I ask a bit personal question? After retiring from London, do you have a “normal job”, or you can just get by by the fruits/jams/etc you are producing yourself and selling? We are travelling through Ireland at the end of April and was wondering if you allow visitors to the cottage? Hi, I just found your site and I’m overjoyed!! You are living my dream!! I am so very inspired and can’t wait to read all of your blog. What you have done is truly amazing and the pictures you post are breathtaking. I am so very happy to have found you! This page is the find of my life. Although we are in Aus in a region with hot dry climate but wet and boggy in winter and many frosts, I am so inspired by your hard work. I can now stop looking for my dream property and be inspired by what you have done and try to do implement the same energy with our current property. Thank you Thank you..
I’ve always wanted to visit Ireland & your place seems like heaven! Cheers! Truly inspiring, and so useful for those of us who live in Ireland and enjoy a similar climate, soil, and plants. Thank you very much and blessings from us here in West Cork. I plan to visit Ireland in September 2015 and would like to visit! Where, how, etc???? my name is Melania I’d like to know your farm and help in the work period was need help . Wonderful! Exactly what I would like to do. Do you still have paying guests? Hi Valerie. 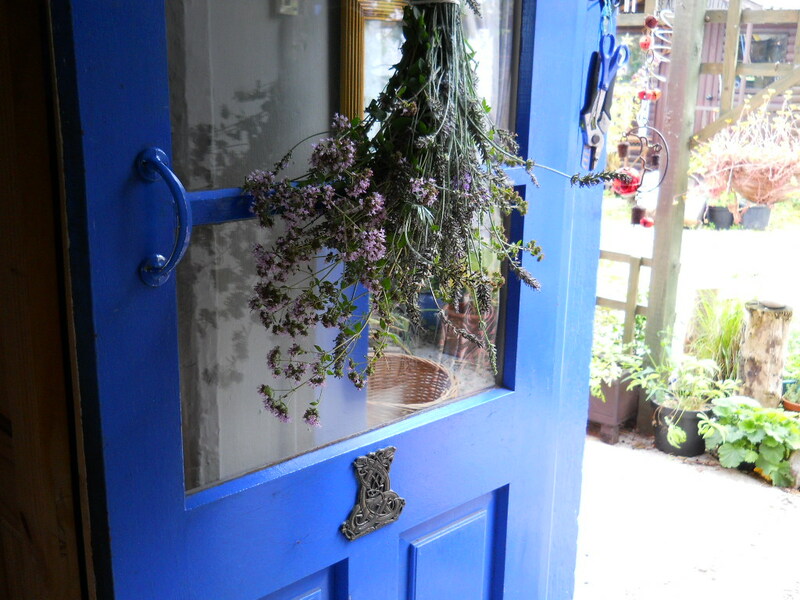 Bealtaine Cottage is now closed to visitors and guests for the winter. Happy Birthday Colette, may you continue to be an example to us all. I am sure that the new garden memorial to your parents will be yet another success! Your place is absolutely beautiful! Hello, I am truly moved and inspired by your wonderful life, it’s amazing. I would love to spend a night at Bealtaine Cottage and submerge myself in permaculture, which is completely new to me as of today! I have my friend Liz to thank for pointing me in your direction. What you’ve done is incredible, I absolutely salute you. Is it possible to contact you to arrange a visit? There is a link at the top of the website…click on that and it should take you through. Inspirational. I am really looking forward to foraging in your treasure trove of a site and following you and Bealtaine cottage on this ever changing journey. From a dilapidated, old cottage set on three acres of forlorn, abused land...my journey to create Bealtaine Cottage. Complete with 71 colour photographs! Price includes P&P to anywhere in the world! Our journey back to the Mother. An exploration of the Great Goddess, from Bealtaine Cottage to the Atlantic Ocean...and all the spaces in-between. Price includes P&P to anywhere in the world! A little Yuletide book filled with colour photographs, recipes, reflections, lore, poetry and mirth to guide you through the wonderful days ahead. Fifty pages of sheer delight from Bealtaine Cottage to you. The book is fully bound and can be posted direct as a gift. Price includes P&P worldwide. Bealtaine Books and Maps are printed in Ireland and posted from Ireland to support the people of Ireland. Special offer: Purchase the Calendar and Map together! Cost was €27.00…Special Offer €20.00! Price includes postage to anywhere in the world! Beautiful hand drawn and measuring 16 X 11 cms., this map is printed on card, both sides (showing one side here). price includes P&P to anywhere in the world. Special Offer! Purchase the Calendar together with the Bealtaine Cottage Guide to the Deep Midwinter for the special price of €23.00 The usual price is €30.00 Price includes postage to anywhere in the world! Sitting with Mother Earth in Bealtaine Cottage Woodland Garden...the happiest place to be! Before Goddess Permaculture and the Transformation!